We love the Bible Bee too! Thanks for the encouragement, Nathan. We're looking forward to Bible Bee 2011. So do I, Nathan!! Isn't it just a great way to spend your summer? Could we maybe have live quizzes for the Bible Bee? Yes Zachary I have a few other things going on this summer counseling at camp spending some time up in Minnesota but I have to say my most favorite is bible bee or studying God's word. Yes, that is fine with me I am willing to do that I will be gone from May first to June thirtieth and I will have to talk to my parents and get the chain of command answer from God. I could help you if you needed it. Maybe we could have weekly quizzes to see how far we are getting? There are 12 weeks, so 12 quizzes. sarah that would be great if you could help I am going to be gone from may 27 to june 30 so I will not be able to do a bible bee quiz during that time the weekly quiz is a great idea. I have done the Bible Bee the past two years and have really enjoyed it. I was wondering if any of the Memverse users are planning on adding all the Bible Bee verses into Memverse as they go along? Since I just discovered Memverse last September, I've only used oral review during the 12 weeks of the competition. Maybe adding 13 verses five days a week would overwhelm my account! Laura, there are ~66 Bible Bee people on MemVerse. I believe all the Bible Bee 2011 verses will be on MemVerse. Laura - I am one of the many Memverse users who also participated in the Bible Bee last year. All of the NIV verses were in last year thanks to Phil Walker, and Lord willing, all of the NIV verses will be in this year also - I plan to add them soon after June 1. I haven't heard about the other translations, but anyone can add a new verse on the add verse page by pasting in the text. Last year, Josiah DeGraaf told me about Memverse and I added all 500 of the Junior verses within the first few weeks... though I didn't get through all of my verses every day. :) It might be good to add them more slowly than I did last year, but I think I will try to have them all in by the end of the first month, because I've found that it is best for me to be working on all of them for a longer period of time than some of them for a short period. But everyone's different. It depends on how much time you have to work on the Bible Bee and what you're comfortable with. Also, I think that I'm going to start slowing down on adding new verses because I want the account to be ready for the Bible Bee. Maybe some of the other Bible Bee users will comment on their experiences as well. I found it very helpful. I'm in the Senior division, and I found out about the Bible Bee in the first few weeks of June. I added my verses as I went along; it took me maybe a 1/2 an hour to 45 minutes a day, but it was doable! I, like Angela, just added my verses as I went along. I was a Junior last year and it probably took me more like an hour each day last year, but that was mostly because QuickMem hadn't been released and so many of the verses I was learning were in passages. So I think that it is very doable, but it will all depend on how much time you want to spend on Memverse each day. Josiah, according to http://www.biblebee.org/biblebee_overview/overview.php, the list of verses will be released on June 1st. Where did you hear that the list of verses will be released on May 1st? God's Litte Child, email me at spoken4byjesus@gmail.com so we can discuss the BB speed quiz. I apologize for the confusion. Nathan's original post didn't have the date and when I added it, I did so incorrectly. Sorry. June 1st is the date for Bible Bee materials to be released - I just fixed it in the post. Thanks for pointing it out. Sarah, I was thinking that we would do it once a week when I found time probably five primary references five junior references and five senior references three minutes for the shortest verses four minutes for the longer ones five minutes for the verses that take up more than one card and six minutes for the verses that take up three cards. I am pretty busy so I cannot set an exact date for any week. God's Little Child, That sounds really great! Um, I would think nights are the best for me, maybe Monday, Wednesday (probably won't work for everyone else since most people are in church), or Thursday. And another thing, if I was to head it up one week, how would I make a post on the blog? Andy definitely has the official word on blog posting, but I'll just say this: you don't need to be able to blog to lead the quiz if you're using comments. Someone who has blogging privileges can create the post and you can run the quiz from the comments. Nathan/God's little child has blogging privileges and he could make the initial post and you could comment. There are several others of us who can make blogs. I'm sure it will work out. You can let everyone know in the comments when you want to do it and someone can post it for you. One other interesting thing about Memverse is that there are time differences between users so what you're thinking of as evening for a Bible Bee quiz might not be the same for someone else. Thanks for volunteering to do these quizzes! I'll want to make as many of them as possible. :) And if one of you two can't run it one week or want a break, I'll gladly do it if my schedule allows. Alex, is there any way that I could be allowed blogging privileges? Of course, if you don't want me to, than that's ok. Do you think that a quiz a week would be enough? I am already trying to get into the "13 verses a day mind" by memorizing some of the verses from last year's BB that I didn't get to memorize, so a lot of accountability and quizzes sound great! Thanks so much for volunteering to help! We will most definitely take you up on it! I am in Central Time, so if ANYONE is interested in doing the Bible Bee quizzes, please tell me what times, and days work for you, and the time zone you are in. THANKS SO MUCH!!! Hi everyone - it's great to see such enthusiasm! I'm looking into having a real-time chat room on Memverse for the quizzes but not sure how complicated it will be to get set up. For now, I would prefer to not have a new blog post created for every quizz. A blog isn't really the best solution for a real-time quizz but we'll see how quickly we can get an alternative set up. If not, we can use the blog. Sarah - I just am trying to think if there is a better way to do quizzes than with the blog. EDIT: I see Andy mentioned a chat room. That's what I was thinking about, too. I will think about the quizzes. Maybe more than once a week? I don't know. 13 verses a day is more than I've every done! As I think about the best time, what about 4 PM EST? That would be 1 PM PST, 2 PM MST, and 3 PM CST. Alex, that sounds great to me! Oh, and I forgot that BB is in the summer, so I would be available on Tuesday nights too, but I think that 4 PM EST is perfect! 13 verses a day is WAY more than I've ever done too! Last year I was in the Junior Division, and I didn't even come close to the 8 verses a day, but I am hoping I will be able to come close to the goal this time, through Jesus! Nathan, I will be gone 6 days for a camp (June 27- July 2), and another 10 days (July 8-18) for another camp just to let you know. Our family is interested in the quizzes. It would be best for us to do it on weekdays, but we're pretty flexible. That sounds like a great idea, Andy! how are the BB quizzes going to account for the Bible translation differences? Also since there will be an enormous amout of Scripture how will the verses be diveded each week so that for the first few weeks people aren't just hoping that one of teh verses selected was one that they have gotten to memorizing yet? these are just some questions to consider for the BB quiz. I also am supportive of some sort of live time quiz software. Good questions, Marie. We'll probably have to check the verses against different versions like Mr. Walker does with the First John project. More on the chat thing coming soon, as Andy is making significant progress on this. We'll have to think about the number of verses. I think that since it is incremental in the number of verses from Primary to Senior, the Primary students could participate in part 1 of the quiz (primary material), Junior students parts 1 & 2 (2 would have junior material), and Senior students parts 1, 2 & 3 (3 would be senior material). What do you all think? We still have some time - two months, actually - so no big rush, but it is definitely good to get a plan underway. Thanks! BTW: Sarah, comments are moderated if you have memorized less than five verses, I think, or something like that. As far as HTML, that's great! Actually, Memverse uses a server-side programming language called Ruby with a framework called Rails, thus most people just call it "Ruby on Rails". But it generates HTML so if you work on it, HTML is definitely important also. There is plenty of information about it online. Andy keeps all the code on GitHub: https://github.com/avitus/Memverse, so that anyone can make changes and ask him to "pull" it back into his "branch" of the Memverse code. It makes it easy to keep track of what's going on with changes. I was totally new to Rails but was able to learn the basics, with a lot of help from Andy, in a few months. Marie, I was thinking in terms of verses what Alex said, and since BB gives you a certain verses to memorize a day, we compile the week's worth, and pick random ones. Alex, I do not know Ruby or Rails, therefore I do not know Ruby on Rails lol! I tried looking at that webpage, but it is blocked by my internet filter. BTW, Congrats on winning the 2010 BB! I didn't even put that together till yesterday! Will you be in Senior this year? I was in Junior last year, but in Senior this year. Sarah - Thank you. God is good. My sister will be a Primary, my brother will be a Junior, and I will be a Senior this year. We can't wait for the new materials. :) As far as Ruby on Rails, I just figured I would mention it since you asked about it, but no pressure! My encouragement to anyone doing the Bible Bee is to ask God to use it as He wants to. Ask Him to teach you from His Word and He will show you in it anything He wants you to see. I believe the only good "tips" in Scripture are commands for everyone (God doesn't have any formulas! ): meditate on His Word day and night (Psalm 1 and Joshua 1:7-9) and seek first His kingdom and His righteousness (Matthew 6:33) and many others not coming to mind at the moment. I have a lot to learn, but He keeps showing me that His Word is sufficient for all matters of faith and practice - He speaks to us through it. :) It's a great thing to be able to say that you did your best, "yet not I, but the grace of God that was with me." (1 Cor 15:10) I'm encouraged because I believe that God is using the Bible Bee in the hearts of literally thousands of young people for His glory! Truman Falkner, the 2nd place Senior from 2009, has a great post of reflection on The Rebelution blog: http://www.therebelution.com/blog/2010/01/truman-falkner-2nd-place-at-the-national-bible-bee/. May God bless all of you doing the Bible Bee this year! So your memverse account doesn't get to overwhelmed with the number of new verses added and you don't mix up the verses already in your account with 2011 BB verses, I suggest starting a new account just for 2011 Bible Bee verses. that way you can hold yourself to a higher level of accuracy for the Bible Bee verses. But if you don't want to start a new account you could just not add any more verses from now until BB verses come out so that most of your verses will already be categorized as memorized before you swamp the system with new verses. For the BB quizzes, we could have 5 separate quizzes for the different versions. this would help with the differences in the versions and also allow for the verses to be checked more acurately. the last two years preparing for the BB I found it difficult to practice with my friends who were using a different version of the Bible. We would end up confusing each other on the little words (which do count at BB :-) ) So my idea is to have separate times and/ or blog posts for each version. I would be willing to help if you need someone for NIV or just to fill in for quizzes the weeks "God's Little Child" is away. Yes. If you plan on putting Bible Bee verses on your memverse account and if you are a Junior or Senior, I suggest that you stop adding verses right now so that you will have a low 'minutes per day' number so that you don't have too many verses to review this day. Josiah - I agree that it is probably best to slow down or stop adding verses... I don't want to create another account because then when the Bible Bee is done, I would have two accounts! And, of course, I want to keep reviewing old verses, but I don't want to have to login to both. Well, I guess tips are suggested applications of what God has commanded... I found that having all of the BB verses printed on a stack of paper and clipped together was helpful - I carried it almost everywhere. :) My brother or I put a line through words that I had a tendency to forget or say incorrectly. I also divided the 500 verses into four groups and went through at least one group a day, and I had a list of trouble verses. But you'll have to find what works best for you. I've heard a lot of different things on how people memorize. There's even a blog post on Memverse where a lot of people explained how they do it: http://www.memverse.com/blog/main/Getting_to_Know_You__How_do_you_Memorize_. There is a very rudimentary chat room at www.memverse.com/chat/channel1. It doesn't work with Internet Explorer yet but it does work with the latest versions of Firefox and Chrome. We plan to add a list of people in the chat room but that will take a while. Andy, I'm not sure if you about this or not but on the recent comments page a link to a single's dating site appears. Is this intentional? Dakota - I'm sure that is not intentional, but I might be wrong. Can you describe where it is at in a bit more detail? I'm not seeing it. Thanks! The chat room is cool! Alex, thank you for your tips and suggestions! The links turned out to be coming from some weird extension that was apparently installed on my browser by accident. I removed it and all is well! Yay it worked but im on a different comp...I use mac's, not windows... :( Alex, I AM SO EXCITED! I'm trying to get my parents to register today!!! One thing about the chat room is that it doesnt save your chats. Have they announced where Nationals will be held for 2011? We registered today! I am so excited! If anyone lives near Slidell, LA, my family is hosting it! Hows the chat rooms coming? Sarah - We haven't done much more with it yet, but hope to make more improvements to it. How does a chat room work? Marie if we could find some volunteers to run the different speed quizes on the version that would be a great idea. I could do the KJV and you could do the NIV. that leaves I believe three other versions. Nathan, a chat room allows people to interact via typing in a "live" setting. We wouldn't have to refresh the page to see responses, as the page would update as the "conversation" moved along. I think it will work well for the quizzes. Update: Sarah - Although it doesn't save chats at the moment, I still think it will be OK for quizzes. So two for KJV, and I guess I can do NIV. Nathan, I use KJV too. UPDATE: So, Alex, it will keep the chats for how long? The chat room looks cool! Ok, so is this the finished product for now that we will be using for the Bible Bee quizzes? Beanie - no, it's not finished. I would say it is barely even in a beta state. But as of right now, we will use this for the speed quizzes? That's what I'm guessing. I think it would be really great if, at some point in the future, there could be a page to visit that listed all of the upcoming quizzes and even allowed you to schedule your own. Ok, thanks so much Dakota! I guess the people who have blogging privileges will just have to post about the quizzes coming up. I was thinking we could do the Bible Bee quizzes on Friday, but we already have quizzes on Fridays. Can we do the quizzes on Fridays before the other ones? What about 4 pm EST starting June 10th? Hello...where is the chat box, how do you sign up, and how does it work? I don't want to bug you, but I don't know anything about this chat box. Zachary, the chat room is www.memverse.com/chat/channel1. When we officially put a date and time on the Bible Bee quizzes, someone will post a blog post, and you can sign up with your version there. It wont be till after June 1, though. Zachary - Andy posted a link further up but I understand why you couldn't find it. :) This is it: http://www.memverse.com/chat/channel1. As also mentioned somewhere above, it is very basic but works for now, although we hope to improve it before long. All you need to do is be logged into your account when you visit that link. There may not be anyone else on - it is mainly for quizzes. dilligently complete the sword study. These are some ideas that should help. Actually memorize what the greek words mean because they WILL ask you about some of them in the written test (I didn't know that). You will be on fire for BB at the beginning, and start tiring towards the end, so I think Memverse will really help with that (This is the first year I am using Memvere). So, get on Memverse daily. Buy the music. In the BB store, last year they put out music for the verses. I HIGHLY recommend buying them. They CAN get annoying, but they help A LOT. Like Marie Morris said, diligently complete the sword study. I DID NOT complete it last year, and I paid for that. I didn't know most of the answers to the written test. Remember the references. The reference recall on Memverse is AMAZING for this! Some of the verses they threw at me last year, I knew, but I didn't know the references, so I had to ask for helps, and that took away points. MAKE time to study. I didn't make time last year, but did it in my spare time, and I didn't have that much. If you want to do well, MAKE time. I'll post more as I think of them. Hope you enjoy the Bible Bee! Thank you, Alex--will be very helpful!! BTW- is there a place that shows you who is on chat? When is the next quiz? Umm.. Alex? Are you on chat? When I test ie - "testing 123" it does not show up?? Please help me! My OS is Windows Vista. Is the chat compatible? UPDATE: It is not working. Sorry. I tried it on my Google Chrome too, and it still isn't working. It worked on a Macbook in a store, but it doesn't seem to be working on my computer. I was wondering: Would Bible Bee on memverse be more exciting, encouraging and inspirational if everyone listed their own Bible Bee group. Bible Bee in Northern MI is currently listed. Do you have or could you get 3 from your Bible Bee who could also get listed? It seems like there could be some friendly competition here as well as some personal encouragement where verses are helping individual groups. It could also be cool to have some days (or possibly a week) each month where everyone could switch back from their individual groups to become Bible Bee again to rejoice in how many people and verses there are in Bible Bee. What do you guys think? I like that idea a lot. I know of at least one other person in my group (Alex Watt) who is on memverse... But I really like that idea. Good idea, Mr. Walker. Maybe the day of or after the local competition everyone could just switch it to "Bible Bee" and we'll see where we're at after a summer of study. I'm going to change my church to "Southwest PA Bible Bee" now. Josiah - My brother and sister are on too. :) Maybe we'll get some more from the local BB once we tell everyone about it. Ooooo! I like that Idea! I am switching mine to "Bible Bee Slidell LA" now. The only people that are in our local bee are my family and one other family, and I dont think they are on memverse. Josiah, Alex, and Beanie, I am glad you like the idea. I look forward to seeing "Southwest PA Bible Bee" listed. Beanie, do you have siblings who could join memverse? Maybe the other family would be encouraged to join memverse, if they know they will be helping the group score. Or better yet, maybe God will bring another family into the Bible Bee and memverse from Slidell, LA. Alex, I really like the idea of switching back to "Bible Bee" after the local competition to give my STT Setia (which, Lord willing, will be up and running strong by then) some high goal to shoot for. Phil, yes, all my siblings in my family want to join, but they are all younger than me (Im 14) and they don't have their own email. My sis used my moms email, and my mom used the family email. We have no more emails! So how do you set that up? No setup is necessary. Simply follow the above format and all messages will be sent to the same account. How do I make an alias account? @ Sarah If you are trying to set up an account for Bible Bee or a special purpose you must use a separate email. You can set up an account like with gmail (since it is free) or some other server and either link it to yourself or just dont give out the address and you really wont get any messages that you need to check. but then you could use the seperate account for places online where you need 2 different accounts. Welcome to the "Southwest PA Bible Bee" and "Bible Bee in Northern MI" who both recently made an impressive debut on the group leadership board. I am looking forward to seeing "Bible Bee Slidell LA" join them. When will your local Bible Bee or Bible Bee region "bee" listed? This Friday and Saturday, I will be sharing about Scripture memory in Indonesia at a Scripture Memory Fellowship board meeting in Little Rock, AR. (Please pray) I hope to share a little about memverse as well, and am planning to show them these groups encouraging them to consider inspiring their people to use memverse the same way. Thursday, April 28th I will be visiting Bible Bee headquarters. Sometime soon, I and/or others will be going on a big push to encourage headquarters to endorse memverse and/or all local Bible Bees to endorse and use memverse with their people. It would be cool to see some more local groups on the leaderboard that we could point to in our presentations. Quote from Alex about this year's upcoming Bible Bee: "God doesn't promise 'success' here. He wants us to focus on something entirely different. Not that there isn't a healthy desire to go to Nationals! It is great to be with so many other Christians. I do hope and pray many people from Memverse can make it, but God is in control. If I don't make it this year, I will still say that God is good - all the time. :)"
Alex, I just saw this and it encouraged and inspired me greatly. Thanks for sharing your perspective. I too will be praying for you, for all the memverse Bible Bee participants, and even for non-memverse Bible Bee participants that God will get all the glory and capture many hearts through this summer's Bible Bee. I know of two former Bible Bee groups that were not planning on hosting one this year. I will be praying that they will reconsider as well as I will be spreading the word as much as I can around the country to let people know about the Bible Bee. Mr. Walker - That's great you'll be meeting with the people from the National Bible Bee. I'll be praying your meeting goes well. Quite a few people have been blessed by both Memverse and the Bible Bee. I'm thankful for both. Amen! Thank you, Alex, for that earlier comment Mr. Walker posted! The chat box isn't working--even on firefox. When do you think this will be fixed? Alex, where do I go to to make the alias account on gmail? I saw the link you put on an earlier comment, but it doesn't say how to set that up. Or does it automatically email to you? UPDATE: I figured it out! Thank you so much! Now all my siblings (except the 3yo) have Memverse accounts! We're on the group leaderboard? We have enough people, just none of us have memorized anything yet. Today I caught my sister deleting verses that she had already memorized (not classified yet)...not good. Alex, can you see things that we can't see? Yes, they are all my siblings lol! Yay, I just got my first and second verses memorized! That's awesome, Sarah! I remember when I memorized my first Scripture on memverse and it's such a great feeling to know that all of your hard work is beginning to pay off in a visible way. Based on how many verses you're learning I look forward welcoming you to the Leaderboards in the very near future! The only thing is that I am not adding anymore right now because I am going to try to use this account for Bible Bee. I am going to be looking forward to the Bible Bee quizzes! And Sarah I also am not going to add many more verses before BB. I think it will help not to be swamped with verses that I already know. Vburk, I totally agree! So glad you're looking forward to the quizzes! I'm so looking forward to this year's Bible Bee too -- I did it last year for the first time and it was awesome!! I really liked it too! Though I do need to learn to stick to it, even when I don't feel like it! Vburk, don't we all? I never got past week 5 in my Sword Study last year! Hi my name is Gabrielle. I am brand new to memverse. We have 7 children in our family that are all Bible Bee eligible ages. Some of us joined in 2009 and found it somewhat overwhelming. My mom says a factor was other commitments we had for the summer. We are considering joining the 2011 Bible Bee before the final deadline and are weighing our pros and cons. Any thoughts to help us decide? -I don't know if it was present in 2009, but there is a "Timothy Track" with lighter requirements (50 verses Primary, 100 verses Junior, and 150 verses Senior), as well as a "Supportive Sibling" track for those who want to receive study materials without participating in the August 27th Local Bee. -Everyone gets verse cards in the appropriate version with a Bible (same version as you registered for)! With seven other family members Bible Bee age, I think you would have a really great time with the family devotions! The Bible Bee has always been about family discipleship, but they really revamped that aspect last year. Our family is looking forward to participating this year, and I trust your family will be able to prayerfully decide what is best for your family. Gabrielle, either Alex is just being humble again, or he just forgot to mention that he won the 2010 nationals. Look up to him. Through our family's participation in the Bible Bee, we have a long list of pros and very few cons. We too appreciated the changes made from 2009 to 2010, and look forward to another great summer of learning with Bible Bee 2011. It just keeps getting better and better! Gabrielle, My family and I have done the National Bible Bee 2009, 2010, and are signed up to participate in and host the 2011 Bible Bee. I have personally never come close to memorizing all the verses, but whether you memorize 1, 5, 40, or 800, if you did it for Jesus, you ARE a winner! You can never go wrong with memorizing God's word. The Bible Bee has blessed me so much, and I will continue to do it EVERY year until Im too old whether I go to Nationals or not (I've never gone). Will the Bible Bee quizzes will be on the chat or on the blog? Right now, the chat box isn't working. I have heard that there will be a place where you can put your verses on hold in order to focus only on Bible Bee ones. Do any of you know when this will be out and running? Zachary - The Bible Bee quizzes will be on the blog, at least initially. If that changes you will be informed. I do not have any information about the verse holding feature - it is something I'd like to see also, but it will take some time to implement. :) Thank you. Hope to see you at some of the quizzes soon. We still havent discussed a date and time. What about 4 pm EST starting June 10th, and every Friday after that? And could you, Alex start the post, and then I could help with whatever after you post it. Alex--the chat box still doesn't work for me, though. Happy June 1, Bible Bee friends! I'd love to hear contestants' strategies on how many BB verses you're entering in memverse each day. for tagging BB verses we should all try to be consiftent in spelling and order of words. Then the tag cloud would be cleaned up quite a bit and it would be easier to find the actual Bible Bee verses. This is just an idea to consider for taging verses. Kaitlyn, I'm going to be adding my verses to Memverse as soon as I have them "memorized". Does anyone know if the BB quizzes will be in the chat room? vburk, Alex says they will be on the blog. I'm looking forward to the quizes, aren't you? Hey, guys - Mr. Walker was talking about a feature where you can put certain verses on hold to work strictly on Bible Bee verses. How soon do you think this will be put out? (I think I posted something like this earlier, but I can't find it) This would be very helpful, please! Kaitlyn - I have several strategies for memorizing verses. 1. Enter them on MemVerses, review them and then practice them on MemVerse. 3. Or may be I might use vburk's idea. I have a few others, but I mostly will use these. I will add one comment while I think about it: if you have someone who will listen to you recite your verses out loud that will be very helpful. It's more likely that they'll score you accurately and there is quite a difference between typing a verse and reciting it. Both will entrench it in your memory, though. - Senior National Practice Verse Spreadsheet (last edit: June 1, 1:55 PM EST - correct order of a few passages) - designed for legal size paper (8.5" x 14"). There are 327 verse passage references for National Seniors. - Junior National Practice Verse Spreadsheet - designed for standard 8.5" x 11" paper. There are 226 verse passage references for National Juniors. - Primary National Practice Verse Spreadsheet - designed for standard 8.5" x 11" paper. There are 123 verse passage references for National Primaries. I hope it is helpful. Please let me know of any errors and I will update the files. :) Thanks. Please note: Google likes to show how the Excel file looks through their web-based software, but if you have software on your computer to open the Excel/".xls" files, I recommend downloading them and then opening them on your computer. Our family was going to make sheets like that for ourselves so thank you for sharing the work that you did. 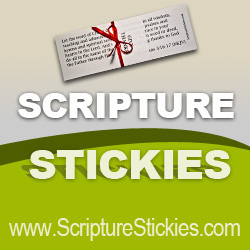 Just a quick comment - there have been a lot of Bible Bee verses added, which is great, but please be careful when adding verses. If you can copy them from Bible Gateway and remove any footnotes or verse numbers, that might be easier, though it has been mentioned before that even Bible Gateway has some errors in their verse text... We like the capitalization and such to be proper (please do not capitalize differently than the translation in use). Thanks! Can we look at 8 EST instead of 4 EST? We scheduled our local BB meetings for 4 EST. Caleb, we haven't gotten our boxes yet either, and we registered April 2! If it doesnt get here by Tuesday, I won't have it for 10 days! Im leaving on Wednesday! OH, that stinks. sorry to hear that. We registered around April and we are hoping that the boxes will get to us soon. I hope that you guys get your boxes soon aswell. Sarah, did your box come ups or mail? You see ours hasn't come yet, and we were wondering if we could still get it before Monday. Runner and Caleb, it came UPS, and UPS doesn't deliver on Saturdays. I know a lot of people are going to be out of luck since they didn't get it yesterday, but someone said that they might send you more of the Sword Study in a PDF if you email them. Thanks for the information Sarah. Now I hope I get it on Monday. By the way, where do you live about? Could you tell me, so I know about when I will get it? Our boxes have not come yet either. So I guess that we are out of luck:( We were looking outside all day for our boxes. I am assuming that our boxes will come on Monday. Our box has not come yet either. But let's understand that the BBHQ have been having many difficulties, but they say that all the boxes will arrive this next Monday. We shall not let Satan stop the 2011 Bible Bee!!! Runner, I live in Louisiana, but we also registered on the 2nd day, April 2. That is right, Zachary. Thanks for the encouragement. I am glad that BB sent them all out Thursday and not any later. We still have not recieved our box and I registered within a few minutes of open registration and We are in IA. @Sarah That is too bad that you recieved the wrong version on your cards. Were all of your cards the wrong version? What does everyone think of having weekly quizzes on Fridays at 8 EST. Also, would I be able to get blog privileges so I can post quizzes? All right, I shouldn't feel sorry for myself-this wait is an increasing patience process! @ Sarah - wow! Hopefully this gets fixed soon! Does anyone know some good ways to memorize verses for the Bible Bee offline? I know some, but I am looking for more ways to make memorizing verses off memverse and off our dial-up computer that are both effective and fun. What are some Creative thoughts? I'll share mine the next time I get on the blog. No Bible Bee box yet for my family either. Indeed, Laura! Let's hope we don't fail it! Caleb - there was a delay in the printing of parent Sword Studies. UPDATE: We got our box!! It feels like Christmas in June! I just found that link! One of the BB Moms posted it on FB, and my Mom told me...it's a great page! OK, Got it. Our boxes just came. Claire - One thing I find very helpful for memorizing verses is to write them out with little symbols or pictures for some of the words and just the first letter of the words you can't think of pictures for. For example, if you had the phrase "For God so loved the world" you could draw the number 4, an uppercase G, a needle with thread for so, a heart, the letter "t" (unless you can think of some symbol for "the") and then a picture of the world. This helped me very much and I think you should try it! Or I write the verse(s) on a wipe off board or a chalkboard and erase 1 or 2 words at a time and try to say the verse, including the erased words, until you have the whole passage down. A good iPhone app that is like what Zachary said is called "Bible Verses". It has a hand in the pic with a blue string tied on the finger. It helps A LOT! We just got our boxes also! I'm soooo excited! I've finally got my Sword Study! Some of our verses were NKJV though. We use the KJV. Our memory verses were all in KJV, from what I know. Does anyone know how many passages we are supposed to memorize everday for the Junoir National Track. I need to know very soon. BB does not say anything about how many passages we are supposed to memorize a day on there website. Was anyone else missing the BB store coupons? I am not sure what they mean by BB Coupons but did not find anything that seemed like a coupon. I have a very IMPORTANT thing to ask. My brother has a wrong deck of memory cards. Is there a way to fix that. PLEASE LET ME KNOW SOON!!!!!!!! Caleb - the solotion for our local bb is to email the error to your local bb host so they can send a list of all the errors to the bb headquarters. National track juniors (like me) need to memorize 8-9 verses per day. KJV Bible Beers with NKJV Junior Cards - Our family is hosting a Bible Bee and apparently the Bible Bee was informed that a small percentage of KJV contestants accidentally got NKJV Junior (blue) verse cards. They tried sending an email to all Bible Bee families with Junior and/or Senior contestants doing KJV, but about 30 families didn't get the email due to email address issues. If you can find the email somewhere in your inbox you should reply to it, otherwise you can contact Nationals over the phone or email. See their Contact Us page: http://www.biblebee.org/_pages/contactus.php. Caleb - If this is not the problem you are experiencing, then you should probably talk to your local host. They probably have other things that they need to communicate to the Bible Bee and would be able to pass your request for new cards along with other things at the same time. Hope you can get the issue resolved soon. Marie - If you have BB coupons, they are probably with the "puzzle pieces" and are printed on the same type of material as the verse cards. Seeing the demand for the first-letter prompts, and remembering again how helpful these are for me when using Memverse, you will soon be able to view first-letter prompts for verses you select on the "My Verses" page (similar to the way you do it now to show/output the verse text). @ BrookeNicole: Thanks for the idea. Very creative. But what type of recording device? I don't think I have one. @ Zachary: Thanks for your ideas too. I could really use them and more. @ Kaitlyn: Thanks for posting up the idea so everyone can use it, but you already know that I know that one. No sweat, its only Memverse. Everyone else, I could really use even more ideas, so whether you're a Bible Bee-er or not, I'd like some input. @ lizard - most cell phones have a recording device...although that probably wouldn't hold all the verses you would need to record for the Bible Bee. If you have an iPod, you could also use that. I have a mac computer so I use Garageband to record and then i burn it onto a CD. If all else fails, you could always use an old-fashioned tape-recorder! :) I hope you find something that works! Cl--I mean lizard ;-) - you could download a recording program to your computer and record ur verses. Then upload them to ur mp3, cell phone, ipod and others. That is what I did when I downloaded my 2010 bb verses to my mom's palm pixi. Even though I'm not participating in this year's Bible Bee, I will go ahead and jump in here to say that I too have found it very helpful to record your memory verses and put them on CD. I try to listen to and/or recite several chapters each day during my morning routine and it really is very helpful. Trying to follow along with the recording lets you immediately know if you've made a mistake. I agree with you, Dakota. Reading through a passage quickly also helps me catch all errors. It's been a while since we talked about quizzes, but I think we should discuss it a bit more. If you are interested in running a quiz, try setting a date and getting it organized through the comments. I or someone else can then create a blog post for you to run the quiz from (like Mr. Walker does). I think this is easier than saying, "We'll have a quiz every Tuesday at 1 PM EST" or something like that. You can develop your own questions, but I like Mr. Walker's format: some "name the reference" type questions (you post a verse in the comments and people try to figure out the reference) and some "type the verse" questions (post the verse text and participants try to type the verse to the best of their ability). What are your thoughts on all this? I need to check with my parents about trying to schedule a quiz or several quizzes. Thanks. Alex - I would be interested in the quizzes. I like your idea about using Mr. Walker's format. Just about any day would work for me. By the way is there going to be a quiz on Friday? We are interested in the quizzes. If we have enough participants, I think it would be beneficial to have quizzes for specific versions. I'd be happy to help run one. I would be interested in the quizzes too, and would bring up the same point as AmyV: what about different versions? Thanks for commenting about quizzes. I am planning one for Friday, June 10, at 4 PM EDT. Scriptures will be posted in all five versions used by the Bee to make it universal. More details to follow in a blog post on the 10th. I plan to pick as many Primary verses as possible to make it suitable for everyone. Please let me know if you plan to participate. AmyV & family - That would be great if you want to run another quiz. Thanks. This is my first year in the bible bee. What do you all think of these quiz "rules"? The format for the quizzes will be similar to those done by Mr. Walker. Shortly before it begins, a blog post will be created for the quiz. I will post either a verse passage or a reference. If I post a verse passage, you will have a minute to comment with the reference. If I post a reference, you will have several minutes to type it. If you correctly answer either type of question, you will receive 12 points, regardless of whether you were first or not. If you make errors on typing the verse, point deductions will be similar to what the Bible Bee does (basically one point off per incorrect word). If you make errors on the reference, you still may receive partial credit: 4 points for correct book, another 4 points for correct chapter, and another 4 points for correct verse. For example, if you posted 2 John 1:9 instead of 1 John 1:9, you would receive 8 points. At some point after the quiz, total scores will be posted in a comment. There will be a total of fifteen questions: ten will be verse passages for you to provide the reference, and five will be references for you to quote the passage. It is expected that this will take about half an hour. Does anyone have a better idea about scores? Should everyone score their own and keep it to themselves, or should I total them up and post them in a comment? I can't remember exactly how Mr. Walker did it. Would you rather I not deduct for word errors? I appreciate your suggestions. Thanks. Will there be any quizzes in the KJV? Or should we just tell Alex our translation? vburk - At this point I don't know the answer to the first question. I like your idea of possibly letting everyone score themselves. This can save lots of time for the quiz master/score keeper. However, maybe there would be someone with time on their hands who wants to score. That could be a neat ministry that could add excitement to the quiz. See you soon. Please confirm the correct time so that I can spread the word a little to see if others want to join. PS You and everyone else may call me Phil. Hi. The next couple days I have some time on my hands (before Jacky arrives) and I hope, Lord willing, to copy and paste all the NIV Bible Bee passages into a word document, submit all the verses into memverse, prompterize all the passages, and submit all the passages into Study Stack which is a great tool for memorizing. If anyone has already done any of these steps that you could email me at philjohn1558@yahoo.com that would be much appreciated and free me up to prepare other Bible bee helps. Thanks for sharing StudyStack. I will be looking into it. Also, the version of Memverse to be released allows people to check boxes for verses in their account and "prompterize" certain verses. We should have this released at some point today. Again, thanks for all your enthusiasm! I assume that the quizzes will be on the blog, since the chat box does not work yet on Chrome, Firefox or Internet Explorer 8. Alex--I'll try to be here at 4 today. What categories will it be covering (Primary, Junior, or Senior), and up to what chronological verse are you planning on going up to? Josiah - Sounds good. I just created a blog post for the quiz. Mainly it will be covering Primary verses. I want to make it appealing to as many contestants as possible. All verses will be taken from the Week One assignment from the Bible Bee. Thanks. @ Josiah: What's happening at 4? The Bible Bee is a great tool to memorize Bible verses. I've done it the past three years. It's really fun. This years's book to study is 1Peter. Hey, God's little child, what happened to all those 1000s of verses you had memorized? @Matthew Minica, God's little child put all those verses on pending so he could work on Bible Bee. They'll be back after BB's over! Oh, that makes sense. I bet he will have 3000 verses memorized by the end of this year!